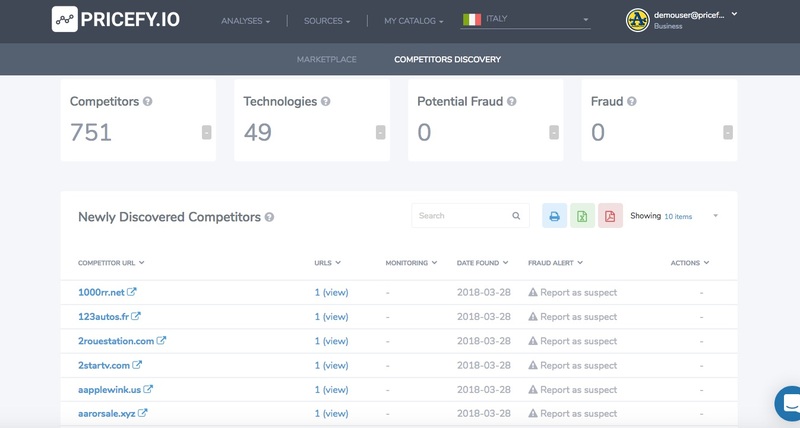 From the 1.3 version, PRICEFY has a new and powerful tool that will help you to automatically discover new competitors listed on search engines and marketplace. Once your products will be analyzed for the first time PRICEFY will perform a deep search on all search engines and marketplace, looking for those ecommerce stores that are selling your same products. 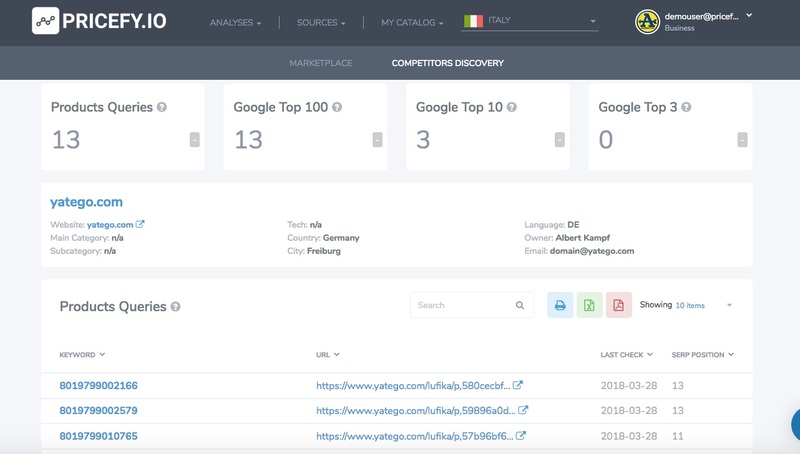 For each competitor, PRICEFY will show you all the URLs retrieved, grouped by domain and the Google SERP position for that particular query (EAN/UPC/Product Name) so you can better understand how well positioned is that competitor. In addition, PRICEFY will provide you all the public information retrieved for that competitor like eCommerce category, store technology (Magento,Shopify,WooCommerce,etc..), website language, domain owner info. PRICEFY will perform a new search every week so you will be constantly updated about every new competitor will appear on the scene. Are you a Brand? Take a look about how this tool helps you manage your unofficial sales network.